Your driving force is keeping people healthy. Our driving force is keeping your network healthy. 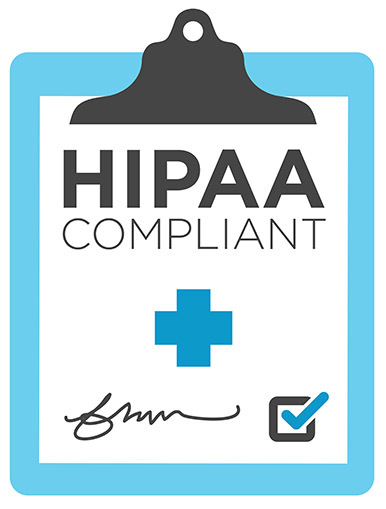 For you to provide proper care to your patients, you need a reliable infrastructure that’s fully protected and completely secure. And since care can happen in a variety of locations, it’s vital that your entire IT and Telephone Network is built to work. Hospitals and Medical Clinics can’t experience down time. Your doors are always open. People rely on you when they have a need. We understand the critical nature of what you do. That’s why our team of experts invest time, money and resources to stay current with the ever-changing landscape of technology and regulatory practices. Our process guides you in developing an IT and Telephone Network that is robust enough to handle any would-be network infection, will satisfy every government audit, and seamlessly works so your employees have a more enjoyable and productive working environment. This allows you to provide more personal care to your patients. Medicine is about people. That’s why we listen to you, create a custom solution for you and guide you in building an IT and Telephone Network that works for you. Whether you’re a home town clinic with a few employees or a growing institution with locations across the country, your IT and Telephone Network is the lifeblood of your organization. Our experience with both of these networks provides you the leverage needed to stay in compliance with ever-changing regulations while gaining efficiencies and cost savings as you move into the future. And we hope to see you at the Arkansas Medical Group Management Association (MGMA) events as this is one of the organizations where we are members. New standards require more stringent security standards for all devices that you use in treating patients. As technology changes and more devices are created and used, you need to ensure that you protect your staff and your patients while they are in your care. Desktop computers, rolling laptops, tablets and cell phones are part of an integrated approach to health care. Even one slight security breach can cost you hundreds of hours and thousands of dollars in fines. A properly designed and well managed IT and Telephone Network will protect you more fully and keep you focused on serving your patients with the utmost confidence.